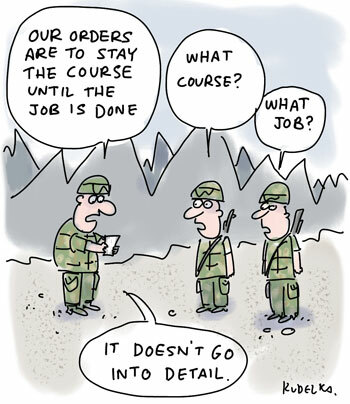 I am all for finishing what we started, so the priority should probably be working out what exactly it is we’ve started in Afghanistan so that we could perhaps start to work out how we might at least start finishing it (whatever it might turn out to be). Failing that (which we most certainly will) at the very least we should start to learn not to start something before we have some idea what it is we’re starting. That would be a good start. Might also be a good idea not to try to finish what someone else started. Well now you’re just being silly.